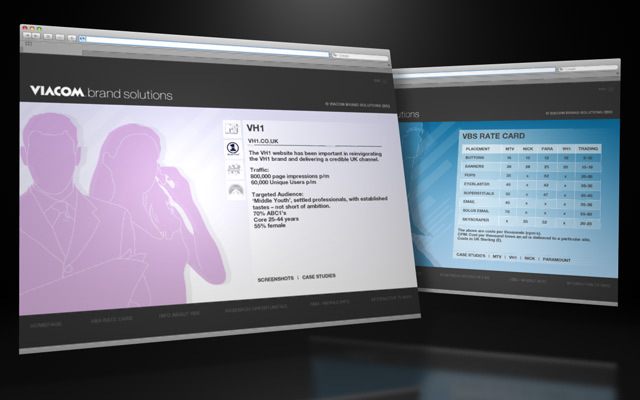 Viacom commissioned our interactive team to develop a interactive CD-ROM to present corporate information, marketing material and research reports. 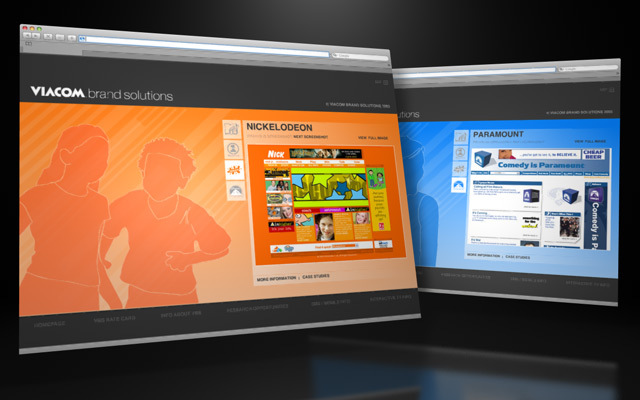 Viacom, a leading global media company (owner of MTV), commissioned interactive team to develop a Flash based interactive CD-ROM to present corporate information, marketing material and research reports. Flash-based content was brought to life through interactivity, sound and motion. 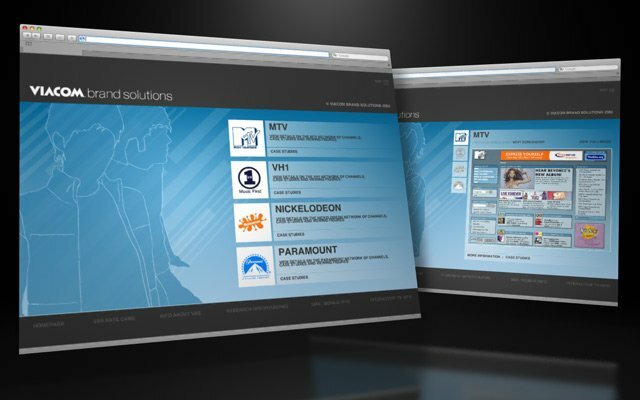 The ability to display anything from an advanced animation to corporate literature provided Viacom with a powerful and functional marketing tool. By producing a high quality CD-ROM Viacom vastly expanded their distribution possibilities, including magazine distribution and giveaways at trade shows, which will undoubtedly have expose their brand to a wider audience.